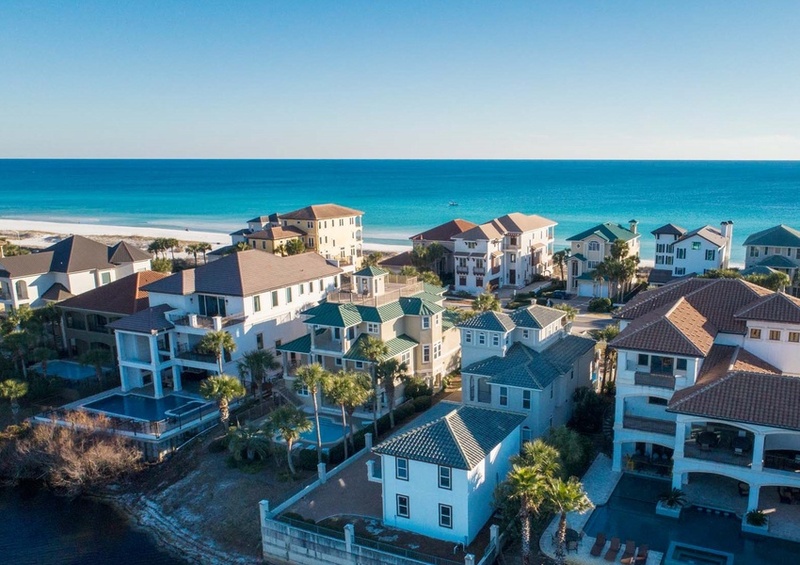 “Come Together” with your loved ones when you stay at this dazzling Destin, Florida vacation home. Located within the Grand Palms community, this home will be enjoyed by your friends and family members alike. 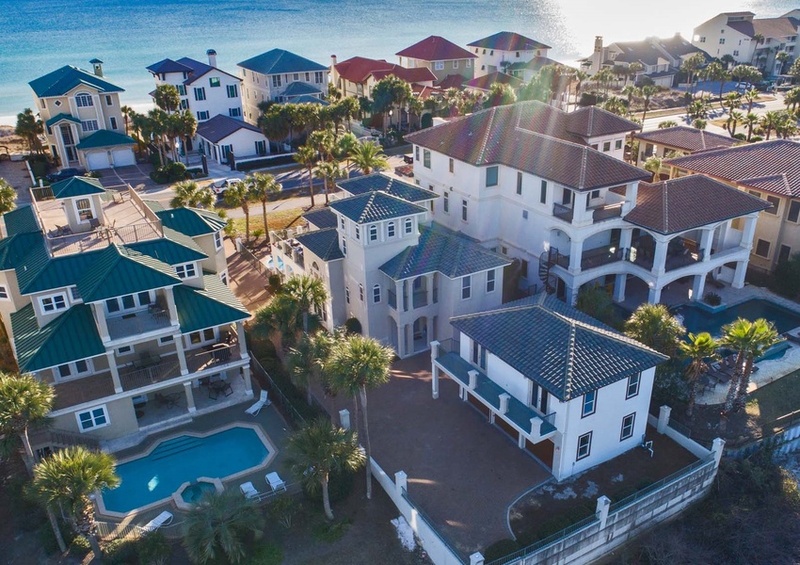 Bring along the whole group because this gorgeous seven bedroom, five and a half bathroom vacation home sleeps 30. 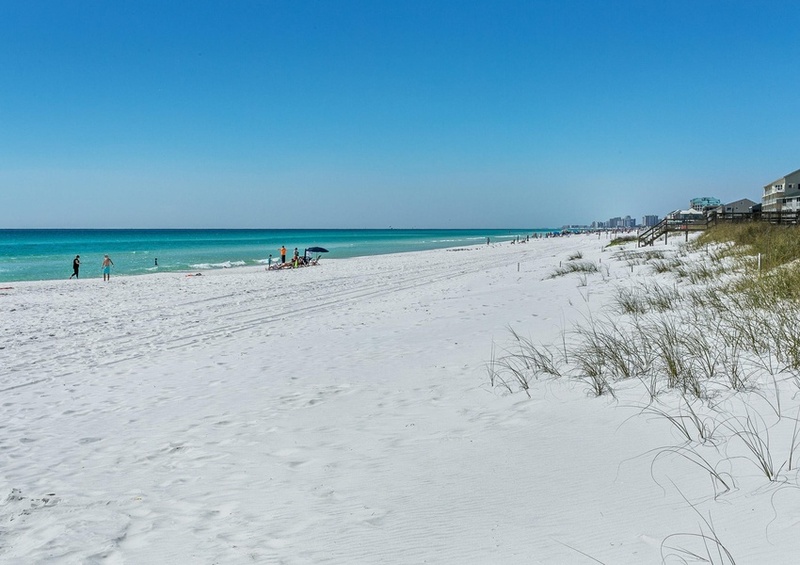 Of course, during your stay at Come Together, you must venture out and see all that Destin has to offer. 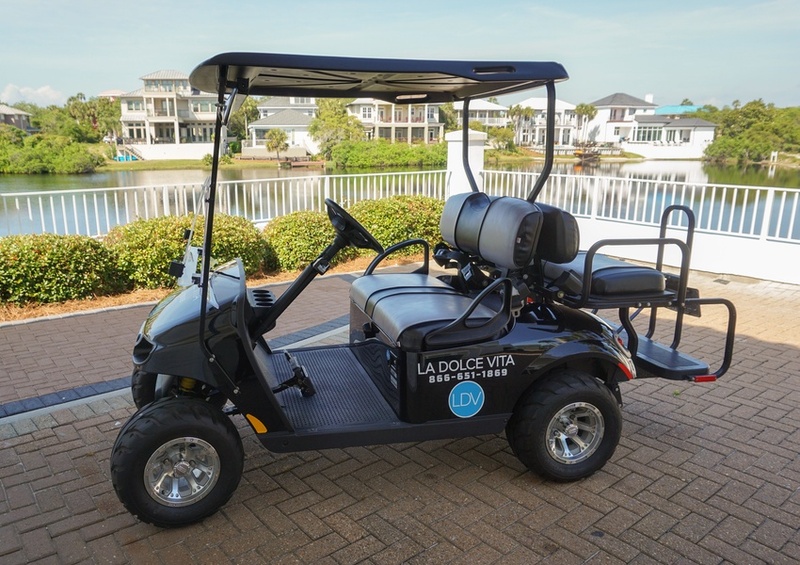 Take a ride on the golf cart (it’s included!) and explore the community. You can also rent a paddleboard or kayak for a day of relaxation out on the crystal clear water. Beautifully decorated with updated and sophisticated furnishings, the vacation experience at Come Together is unmatched. A complete and extensive remodel of this home features a brand new pool, kitchen decor, and furniture. Throughout this spacious three-floor home, you will find bedrooms and bathrooms located on each floor – with a carriage house featuring two bedrooms with custom-built bunks and a media room perfect for the teenagers in your group! Hardwood floors throughout ensure our Gulf Coast sand won’t become a nuisance. Touches of modern elements and architecture bring a warm feel to the home. Additionally, elevator access in the main home ensures you won’t always have to get your steps in. Sneak out on to the patio from the living room, or any of the private balconies for some quiet relaxation. At night cook a meal in the full kitchen, complemented with quartz countertops, stainless steel appliances, and a beautiful backsplash. The master suite redefines vacation luxury, with a private balcony offering views of the glistening emerald green waters. Finally, sneak away to the adjoining master bathroom and melt away your worries in the whirlpool tub. However, you’ll want to spend your day on the sparkling blue water and sugar white sand of the Gulf. 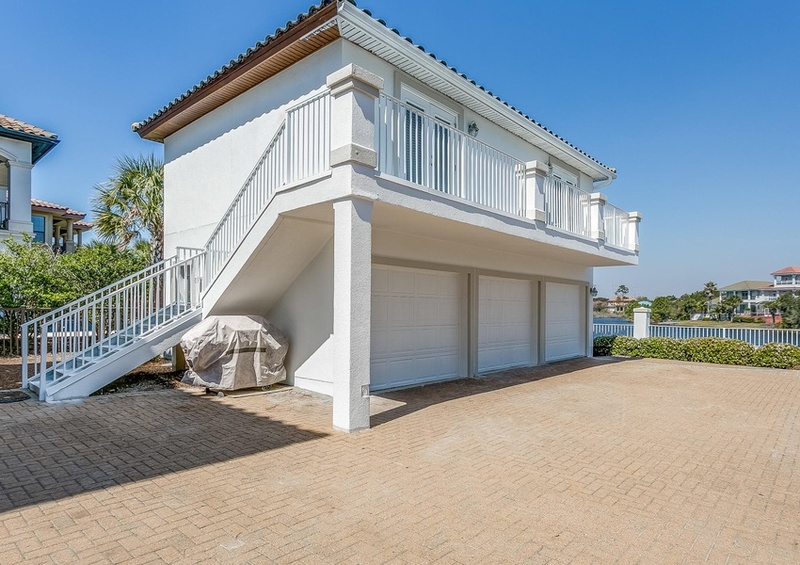 Beach access is just a short walk away, making the waves completely accessible. Enjoy the private pool at Come Together while you soak up some sunshine and cool off. The pool has sunshine all day long, so you can catch some rays at your leisure! Then, rinse off in the outdoor shower! With a community pool and hot tub also available for your use, your options are endless during your stay at Come Together. Meanwhile, don’t forget to add a local event to your dream vacation plans! Call or book online now! Come Together: This property provides fresh and clean bed linens, including comforters and coverlets, laundered prior to every check-in.